Our care instructions also in small format now! Ideal for informing your customers briefly and concisely and handing them out for to go! 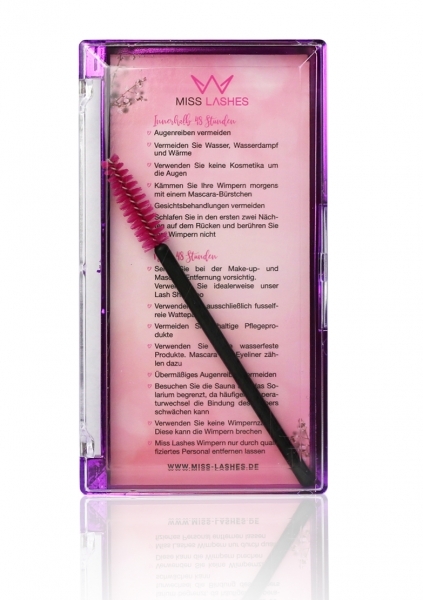 Instructions are given for the first 48 hours and the period thereafter to guarantee the durability and care of the lashes. In addition, there is a mascara brush in the care instruction box for easy care. ATTENTION: Instructions are in German!